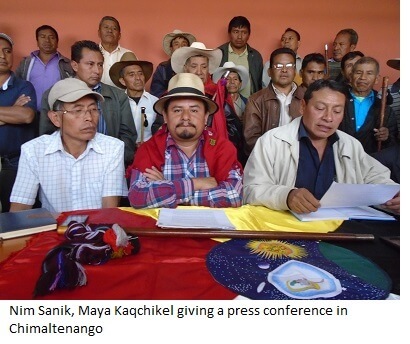 GUATEMALA – On September 4th, after ten days of widespread street protests against the biotech giant Monsanto’s expansion into Guatemalan territory, groups of indigenous people joined by social movements, trade unions and farmer and women’s organizations won a victory when congress finally repealed the legislation that had been approved in June. 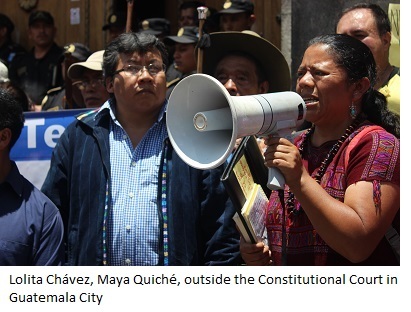 When Congress convened on September 4, Mayan people were waiting outside for a response in favor of their movement, demanding a complete cancellation of the law –something very rarely seen in Guatemala. But this time they proved not to have marched in vain. After some battles between the presidential Patriotic Party (PP) and the Renewed Democratic Liberty Party (LIDER), the Congress finally decided not to review the legislation, but cancel it. But soon enough they decided to act. Even though politicians claimed not to act on social demands, it is without doubt a decision taken after enormous pressure from different social groups in society.